Try to include one or two films that are part of your yearly tradition. I don’t really care what movies you choose, just find a few that will be part of the rotation every year. Family traditions are important and movies you watch every year can play a role in those traditions. Look for new movies to introduce to your family, or to yourself. And they don’t have to be “new” films. Perhaps it’s an old film you have never seen. Perhaps it’s something you saw when you were a kid and remember very little about it. Perhaps it’s a film that your kids are now old enough to appreciate. Stretch yourself a little. 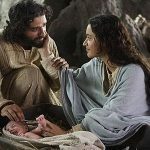 Include at least one film that contains the Gospel/Biblical reason for Christmas. I’m not one to overly spiritualize everything, but if you are going to celebrate the season, you sort of need to include the birth of Jesus in your revelry. Don’t overthink it. Pick movies you enjoy. Don’t worry if no one but your family likes a particular film. If it works for you and yours, that’s all you really need. With all of that as the backdrop, here are five of the films we will be watching this Christmas season. I’ll include a brief explanation as to why each film made the cut and for those that need it, a super spiritual reason we watch. 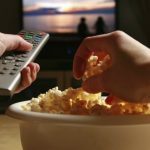 Why we watch it: I realize there is nothing spiritual about the story of a young boy, who after getting left home alone by his family, defends his home from thieves. That’s okay. Sometimes you can watch a film simply to have fun. If you have boys, this film is particularly fun to watch. My seven year old has fits of laughter when watching this film. The rest of us have fits of laughter watching him. Super spiritual reason we watch: Not everything you watch has to have some righteous message. Home Alone is not without merits in that regard. The main child learns how important family is and he comes to realize that he has behaved rather selfishly towards them. Great lessons for any family member. Why we watch it: I was underwhelmed with this movie the first time I saw it. 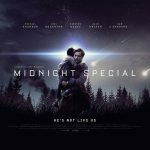 I appreciated the understated nature of the film, but was disappointed with that style when it came to the big moments when grandeur and power seemed more appropriate. I have since come around to the film completely. The subtle quality of the film is refreshing in a world full of bombast and noise. The “big” moments still have power and grandeur; they are just grounded in something more earthy and tactile. 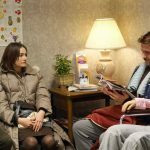 While Keisha Castle-Hughes does fine work as Mary, the standout of the film is Oscar Isaac as Joseph. Never before have I fully recognized the role that Joseph undoubtedly played in the story. His decision to believe and obey the Lord by staying with Mary is something that I have always taken for granted. This film opened my eyes to his part of the story. 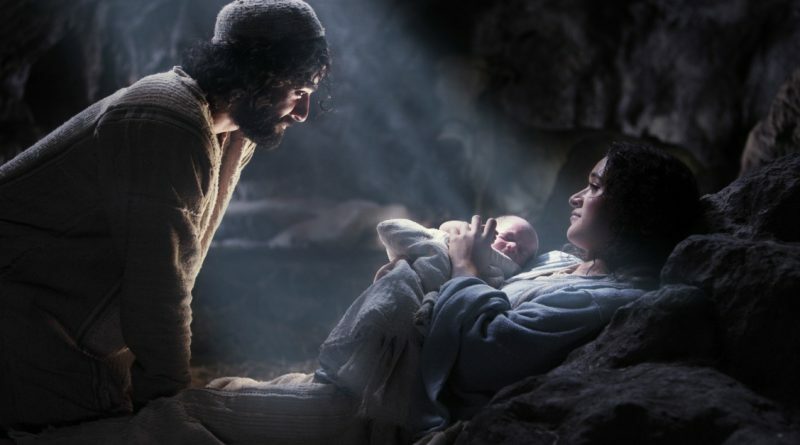 Plus, the film frames the actual nativity in a beautiful and memorable way. The whole family enjoys this one. Super spiritual reason we watch: Really? Do I really need to explain why we watch a film that depicts the birth of Jesus for Christmas? Why we watch it: Before you lose your minds, I want to preface this by saying that we do not watch this one with the whole family. My two oldest boys will watch it with us this year. (My eldest watched it with us last year as well.) And, I skip a few scenes that add nothing to the story and are not helpful to the minds of teenage boys. If you have seen the film, you know what scenes I am talking about. I realize that the film is a bit crude and rough around the edges. It’s moments like these where I choose to discuss these things instead of hiding from them. I know not every parent sees it this way, and that is fine. Do what works for your family. For my kids, they are going to be exposed to coarse language and talk outside of my home, so pretending it doesn’t exist won’t do them any good. I would rather engage with them about it and show them a better way. While the Griswold family is a bit dysfunctional, particularly when you include the extended members, I think that is part of what makes this film so funny and enjoyable. We watch the film because it’s funny and it reminds us of people in our extended family which makes it even funnier. 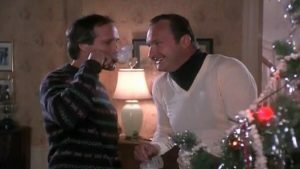 Cousin Eddie alone makes it worth watching. If you are quietly judging me, jump down to the Super spiritual reason right now. Super spiritual reason we watch: At the heart of the film is a man (Clark Griswold) who loves his family and wants to give them the best Christmas ever. That’s actually something to celebrate. Why we watch it: This is one of my wife’s favorite films of all time. We have yet to watch it with our kids. This is the year we finally take the plunge – at least with the two oldest boys. Our eldest son is 13 and our middle son is 12 so we hope they have the necessary attention span and maturity to handle an older film like this that approached pacing and style in a very different way than modern films. I truly hope they can look past the differences and see the heart of the film. Super spiritual reason we watch: Obviously, the spiritual stuff is hokey, but even so, it still has much to say about the importance and significance of every single human life. I’ll cry at the end of the film as I always do. Why we watch it: This one has become a family favorite and we watch it nearly every Christmas. It’s great to have a modern film that is mostly clean and appropriate for all ages. Plus, Buddy the Elf is one of the great comedy characters ever invented. I am not a huge Will Ferrell fan, but he was perfect for this role, bringing an innocence and joy for life that makes the whole film a treat to watch. Super spiritual reason we watch: Actually, this one has many reasons: Joy for life. Love of family. Seeing the best in other people. 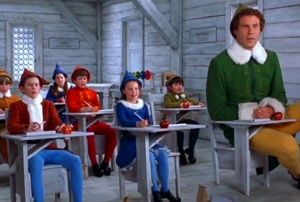 These are all practical lessons we should take to heart after watching Elf. Many other films have made appearances in our Christmas film rotation: Rudolph, the Red-Nosed Reindeer, A Charlie Brown Christmas, The Polar Express, Frosty the Snowman, A Christmas Story, The Santa Clause, and many others. There really is no wrong answer here, unless of course you watch The Christmas Shoes. Just talk to your kids, or if you have no kids, talk to your spouse, and if you are without a spouse, talk to yourself. Figure out what you want to watch, why you want to watch it, and get started. You only have 23 more days until Christmas after all. 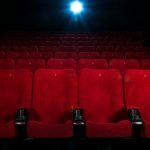 I would love to know if you do this sort of thing as well and what films you will be watching this year with your family or friends. Please tell us about it in the comment section below. I always make a point to find the broadcast schedule for two versions of A Christmas Carol: the classic with George C. Scott (because it’s the classic with George C. Scott), and the 1999 TNT version with Patrick Stewart (because I really like the way he fills the Scrooge role). I also like the TV specials (Rudolph, Frosty, Charlie Brown Christmas, etc.) that I’ve been watching all my life. 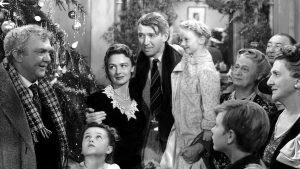 I recently added It’s a Wonderful Life to my personal watchlist; I had never watched it until a few years ago, but I love the story and (as described in the post) the way that it’s presented based on movie methods from that time period. I also like The Polar Express, both the story that’s told and it’s style of animation. All great choices. We do watch a version of A Christmas Carol most years. We might this year as well. The Jim Carrey version is not bad. The Muppets version is pretty solid as well. I know a few people that love the Alistair Sims version. I like Scrooged – the Bill Murray version – but I’m a sucker for most of his movies anyway. I love Phill’s list. Love Marcus’s thoughts as well. 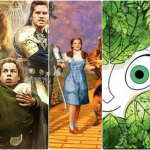 I am thankful that we have such a wide variety of solid movies to watch this time of year, both historical and rather new, because this feels like a movie watching time. Especially when it starts snowing or when we are putting up the tree. I love all of the Scrooge versions mentioned that I have seen, which is nearly all of them. Elf never gets old. My brothers and I watched Vacation every year through college and young adulthood, until I moved to Chicago. Home Alone was one of the best experiences I’ve ever had at the theater as a 12-year old in 1990 and have seen it probably 15 times at Christmas since. My wife and I watched it last year around this time. Every year I show my ESL students “The Grinch” with Jim Carrey and I adore that movie, along with two of my very best friends, Josh P Crowe and Matthew J Riley. I know the REO staff is split on it but I don’t get tired of it and its endless supply of funny quotes. I do like the cartoon version better “How the Grinch Stole Christmas” for it simplicity and pointed message. So many more but I enjoy this topic. Thanks to Phill for broaching it. Some favorites at our house: Christmas in Connecticut, The Shop Around the Corner, Miracle on 34th Street (the original), The Bells of St. Of St. Mary, White Christmas, and The Lemon Drop Kid. I like most of those as well. Rudolph, the Red-Nosed Reindeer. This movie is my favorite thing about Christmas. Hands down! I didn’t mention it but it’s on the list Kayla and I have made for this year! We are going to watch it. I’m excited. I haven’t seen it since at your house over a decade ago. I love Ernest Saves Christmas. Just not on the viewing list this year. We watched Ernest Saves Christmas yesterday. I’d forgotten how many quotes are used by David regularly: “Pork’s my meat.” “Always observe traffic safety devices” (Or whatever it is). “It’s not anything they haven’t heard before.” “Not from me.” Good stuff! The boys actually started the Christmas movie viewing party early by watching The Santa Clause a few days ago. I like that film but opted to sit that one out due to other obligations. 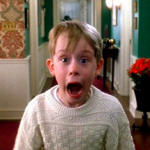 We “officially” kicked things off last night by watching Home Alone. It is Chis Columbus’ best film – hands down. He is pretty limited as a director, but he did a good job with the film. The script by Hughes didn’t hurt though. Also, John Candy’s little cameo is just fantastic. Nice. We will be watching that one for sure. We watched “Narnia: LWW” yesterday. Not the most overt Christmas movie, but just enough to get me in the mood. Plus, just a magnificent movie in every sense of the word. I love The Lion, the Witch, and the Wardrobe. Both book and film. I know some quibble about the film lessening Aslan’s power and mystery, but I don’t see it. I think Aslan comes off pretty spectacularly in the film. It’s probably above my knowledge to argue that point, but I will say in the movie when he comes out, you can feel majesty potently and when he roars at the Witch that one time it’s pretty powerful. And when he rises with the sun behind him. Plus they got a good voice for it if they wanted a sense of power. Maybe not as much mystery. Ooooh, a foretaste of things to come!